The future of mowing has arrived with the new GT48XLSi tractor from Husqvarna. 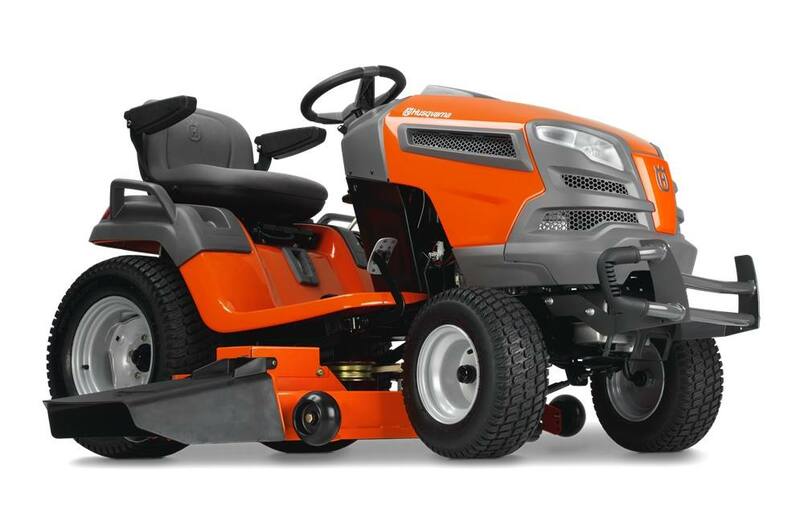 The GT48XLSi features a revolutionary new electronic operator interface with real time feedback, more intuitive operation, integrated headlights and "key-less" security for the most convenient and cutting-edge mowing experience. The SmartSwitch™ system is coupled with exclusive automatic choke equipped Husqvarna Endurance engines, to allow for simple one touch starting. Additional features like a 48” fabricated cutting deck, integrated washout port, optional mulch kit and new whiter, brighter LED headlights make the GT48XLSi tractor a top choice for demanding and extensive use. Collector accessory: Two or three bin collectors available as accessories. Fuel tank volume (with reserve): 4 gal. Tire size, front: 16x6.5-8 in. Tire size, rear: 23x10.5-12 in. Turning radius, min: 18 in. Base machine, length: 71.25 in. Base machine, width (chute down): 62 in. Base machine, width (chute up): 54 in. Front: 16x6.5-8 in. ; Rear: 23x10.5-12 in.